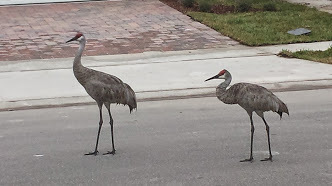 Sandhill Cranes, my new neighbors! 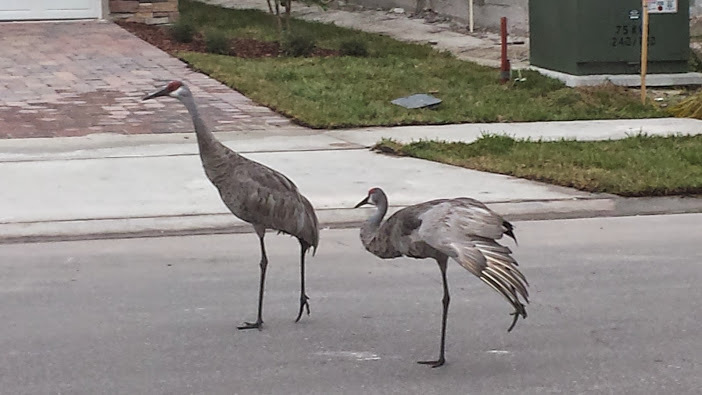 These Sandhill Cranes saunter around our new neighborhood without a care in the world. Oncoming cars on the road? No problem! 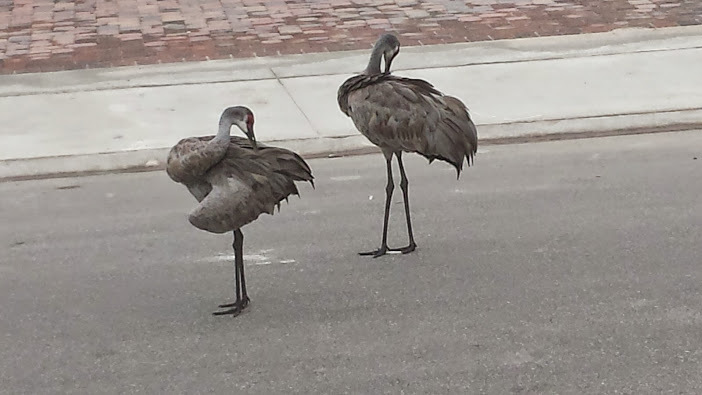 Let them go around us; after all… they are invading our space. You can go around me or not; I am not moving!